Dedicated to providing the highest standards of quality service at all times. As career mortgage lenders, we are constant students of the industry; always seeking greater knowledge. We do things the right way. A rock solid reputation built on two decades of going the extra mile to help our clients achieve their goals. Clients can trust our expertise to recommend the best product and trust in our system to execute a successful and timely closing. We are grateful for our good fortune and thankful to be able to give back to our communities. We are committed to supporting local non-profits and charities and strive to help others in times of need. We understand that the most profound results come from working together as one team, not just as individuals. We are loyal and caring toward each other and are always willing to lend a hand. We collaborate and learn from each other, which is the greatest competitive advantage we possess. We equally balance the best interest of our clients, our employees and our company. Competitive products provided by fairly paid employees, done while maintaining reasonable profit margins. No greed. Balancing the big three ensures long term staying power. Work hard, play hard. We do both well. We value family time and respect that there must be a balance between professional work and personal time. Providing first class mortgage banking services to our clients, designed with their financial wellness in mind. Finding expert mortgage solutions for clients with complex situations and closing loans with industry leading efficiency.
" Jared did an awesome job negotiating a lake home for us. As with most residential purchases, there are often a few glitches, but Jared helped us to navigate them and was excellent in his realtor skills. We would highly recommend him to anyone looking for a special home! " " Working with Kim Baker went smooth and she was very understanding with details. Communication was very good and she kept in contact throughout our time with her. I would recommend Kim Baker with helping buying a new home anytime. " " We couldn't be more pleased with the overall customer service that Jared and his entire team provided from the time they listed our home, until it was sold. They were always accommodating, extremely friendly, very proactive with our listing, and were always available to offer support and wisdom. We felt that their service was second to none, while at the same time my wife and I appreciated their honesty. While trying to sell a house can be a daunting task, Jared, Rhonda and the entire REMAX Northland team exceeded our expectations on every front. Not to mention, that they also sold my mother's house and she closed within 3 days of us closing on our home. Again, whether your buying or selling your home, I couldn't more highly recommend this company or team of dedicated agents, who ultimately became friends. " " I wasn't really looking for a realtor yet because we were just starting to think about buying a cabin but Kim contacted me and was not pushy at all. She would check in with me every once in awhile and when I found a place on Zillow that I wanted to look at I called her and she showed it to me. We recently closed on the property and are very happy with the whole process and Kims service. " " Excellent open communication, did not feel pressured during sale of our property due to "lender" issues that delayed closing, Kim is calm, professional and consistent to get the deal done ASAP!! " " "Kim provided us with numerous listing to find our dream lake cabin. Kim was familiar and knowledgeable with the area and was always timely when questions were presented. She never pressured us and was very patient during the buying process. I would recommend Kim to family and friends. Thanks again Kim!" "
" Great buying experience! Realtor Jared Lundgren was friendly, professional and knowledgable. He served as a dual agent on our transaction and he fairly represented both parties. Jared receives the highest recommendation I can offer. If you are fortunate enough to work with him on the next purchase or sale of your home/property, you will be very satisfied. Outstanding service by the entire team! " " Jared Lundgren is an excellent broker and representative. Jared was a transparent and effective communicator though the process of purchasing our property. He was very prompt in returning correspondence. We were initially worried about having the listing agent as our representative but Jared’s honesty and straightforward communication style made dual representation a non-issue. Jared helped us to navigate everything from county assessments to surveying issues to closing with ease. We truly appreciate all the time and effort Jared and his team devoted to ensuring our needs were met and we highly recommend Re/Max Northland. Thanks again for everything! " " I can highly recommend Jared for a realtor without any hesitation. He was very patient with us and gave us some great advice which was in our best interest, but maybe not his. He was available in the evenings and was always cheerful and willing to help us. I feel fortunate that we worked with him. We did not buy a Lake home, but if we had and I would still have given him a five star review. " " Jared assisted in the sale and the purchase of our homes. He did an excellent job and refused to give up when parts of the deal became challenging. We will be using him again and highly recommend Jared to anyone looking to buy or sell property! " " "A very professional experience Dealing with Jared and Rhonda - it just doesn't get any better than the experience I had when I needed questions and curiosities answered thru Rhonda. Excellent service selling my lake shore cabin. Thank you!" "
" As personal representative of my late mother's estate, I had to sell 3 large parcels of vacant land (including lake shore property) in Aitkin County MN. The transactions also involved a 'lot line adjustment' with the county planning and zoning office. Because I live in Illinois, we had to work together remotely for the entire process. Jared and his team (especially Rhonda) were exceptional in knowing and working with the county officials. They were also great in coordination with the surveyors. They know the market well, and after providing a market analysis, we selected a price point that generated significant interest in the first week on the market, attracting multiple offers which allowed us to negotiate a very competitive deal for the estate. I would recommend Jared and his team to anyone who is interested in buying or selling property in the greater Aitkin area. " 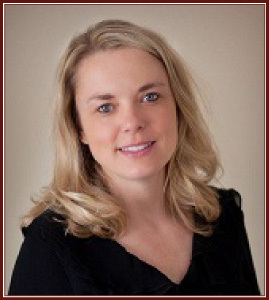 " Kim was very helpful in every aspect of helping us sell our lake place. She is very friendly and was willing to listen to our ideas. Kim would always be on time when showing us properties. I would recommend her to any future clients. " " "We are very pleased with the results of our sale. Jared knows the real estate business well and the area. He and his co-workers were very expedient in giving us the results of our showings. We appreciate their efforts." "
" Mary and I just want to thank you again for all of the help finding the right cabin. I know we were very picky trying to find the right one. Your knowledge of the area really helped us lock in about 3-4 lakes. Also, thanks for the gift of knifes, we plan on leaving them at the cabin and will think of you each time we use them. Like Mary said we would like to take you and your wife out next spring. Have a safe and Happy Thanksgiving. Thanks again! " If you are looking for friendly, reliable real estate professionals, you have come to the right place! REMAX is currently the #1 real estate name WORLD WIDE and right here in Aitkin! Established in 2014 by Broker/Owner Jared Lundgren. REMAX Northland is a full-service real estate office, specializing in buying & selling waterfront, cabin and hunting properties in Aitkin, McGregor, Deerwood, Brainerd & their surrounding lake communities. Life gets busy so let us do the work for you. Our full-service team of experienced real estate professionals will work together to ensure the very best service attainable - trust in us to help make your search, sale/purchase and transition as smooth as possible. We appreciate the opportunity to earn your business and look forward to serving you! According to "Trending Home News," major paint companies declare their "new" color of the year. Sometimes, being as we live in a small town, folks from #Aitkin can get left out of the loop.